Also available at our Etsy store are custom lift ticket invitations, and save-the-dates! 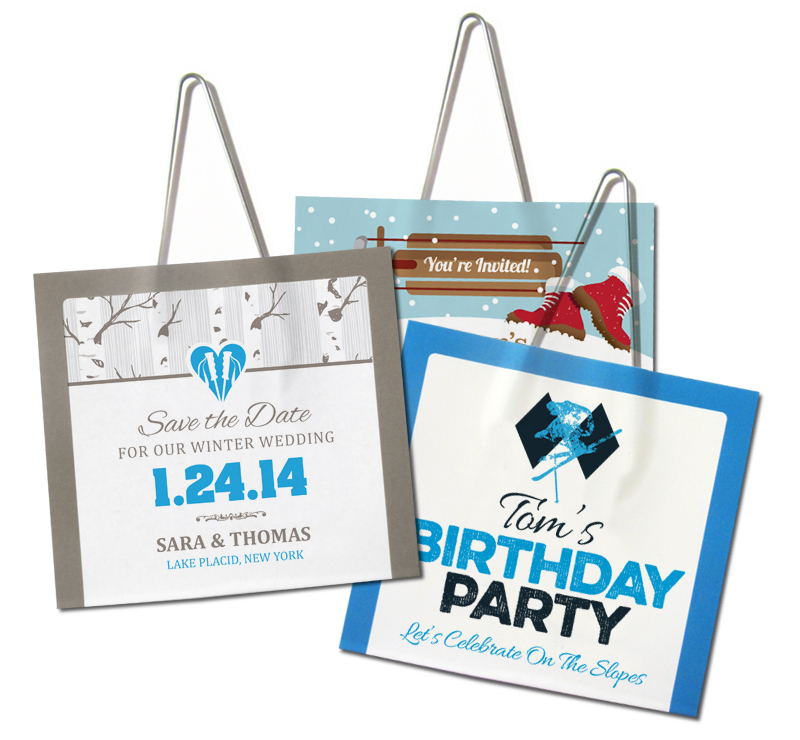 They are a fun, unique way to invite your friends, family, and ski buddies to your special event. Downhill Threads is still a super small business that strives to make every dollar count towards growing. In order to keep our costs down (and our prices down) we are now using Etsy.com for the "shopping cart" portion of the site. Etsy is a great site that is very user-friendly and processes payments securely. It also accepts PayPal, Google wallet, as well as all major credit cards.